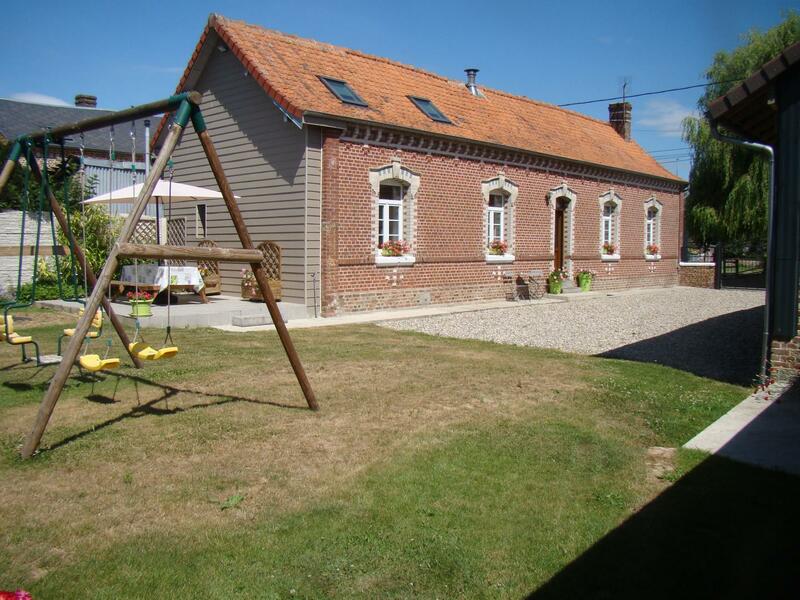 Detached gîte (90 sq.m.) in village. Fenced garden (180 sq.m. ), parking in courtyard (160 sq.m.). Ground floor: large living area (42 sq.m.) with open-plan kitchen (wood-burning stove) & lounge, separate WC, shower room (large shower), bedroom (queen-size bed). 1st floor: mezzanine bedroom (double bed, single bed), small bedroom (single bed). Beds made on arrival. Electric heating (extra charge). Pet allowed under certain conditions (surcharge: 5€/day).